The Cranberry Rotary (Noon) Club volunteered their time to raise money for the Salvation Army. 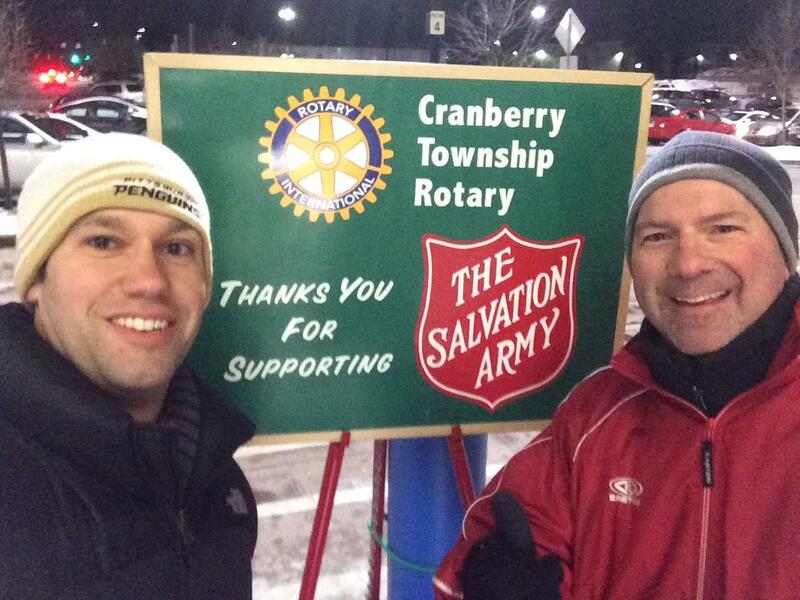 In December 2013, a total of 18 Rotarians spent 3 evenings "ringing the bells" to support the Red Kettle Campaign outside of WalMart in Cranberry Township. This year the Cranberry Rotary Club donated $1,500 to the local Salvation Army to support families in our area. Above, Cranberry Rotary Club President Dan Novakovich presents the donation to Salvation Army Major Richard Lyle. Also pictured are Rotarians Jerome Savoroski and Dave Hilliard ringing the bells in the freezing temperatures.